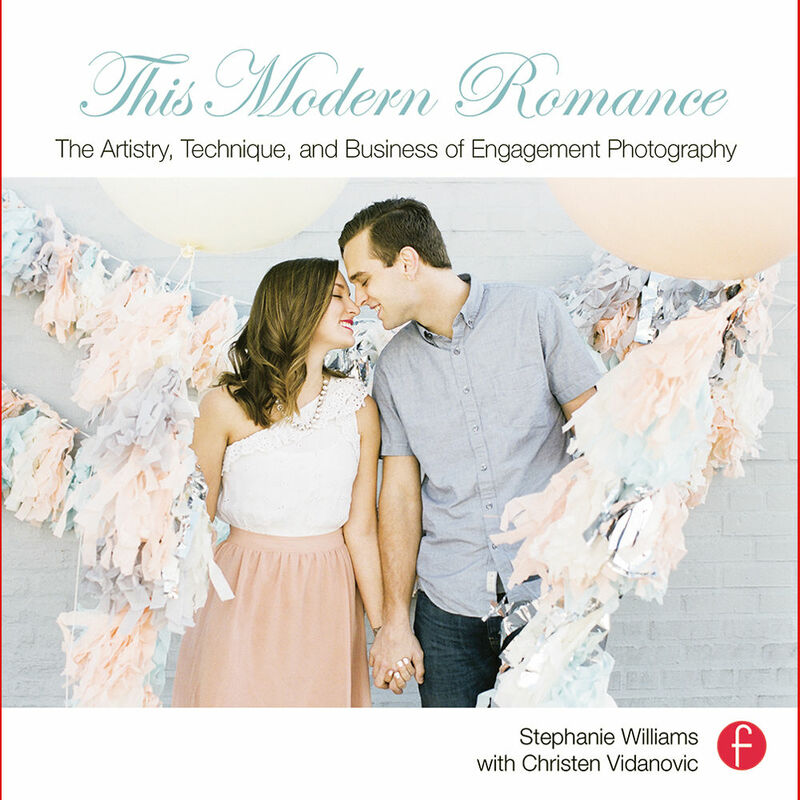 This Modern Romance: The Artistry, Technique, and Business of Engagement Photography from Focal Press is a book by Stephanie Williams and Christen Vidanovic. Engagement photography has become an essential and valuable component of wedding photography for clients and photography businesses. Successfully booking romantic portrait sessions and providing your couples with creative, playful, and beautiful images can mean a lasting-and lucrative-relationship. In this volume, award-winning photographer Stephanie Williams and photographer Christen Vidanovic share their approach to handling an engagement shoot. The book covers the authors' thoughts on the psychology of shooting and directing couples, as well as their take on current industry trends, and the use of blogs and social media. Discover photography tips on romantic styling, workflow, and branding that will help get your engagement sessions recognized by prospective clients and industry publications. Examine gorgeous photographs illustrating principles, techniques, and styles. Whether you are an aspiring photographer or established professional, this book is sure to inform and inspire your next photo shoot. Read tips and testimonials from prominent wedding professionals, bloggers, editors, and stylists, as well as Stephanie's actual clients. Learn how to build your brand and get your work published. Additionally, improve or refresh your technical skill through practical lighting, equipment, and technical guidance. This book will also help you diversify the ways in which you interact with clients and style your shoots. Stephanie Williams runs her own studio and blog called This Modern Romance. Her work has been featured on the cover of Pacific Weddings, Destination Weddings and Honeymoons, Destination I Do, California Wedding Day, and Australia's White magazine, as well as in the pages of The Knot, Brides, Oui, Southern Weddings, and numerous blogs and internet publications such as Style Me Pretty, Green Wedding Shoes, and more. Stephanie was listed as one of the top 20 Destination Wedding Photographers in the world by Destination Weddings and Honeymoons. In 2011, Stephanie was honored as one of PDN's Rising Stars in Wedding Photography. She lives in Orange County, California with her husband, Isaac. Christen Vidanovic is an Oahu-based photographer with a background in journalism. She specializes in weddings, fashion, and editorial photography. Her work can be seen in various local and worldwide publications, including SMART, FreeSurf, Pacific Edge, The Honolulu Weekly, and Jetstar, in addition to the photo collections of many Honolulu fashion designers.